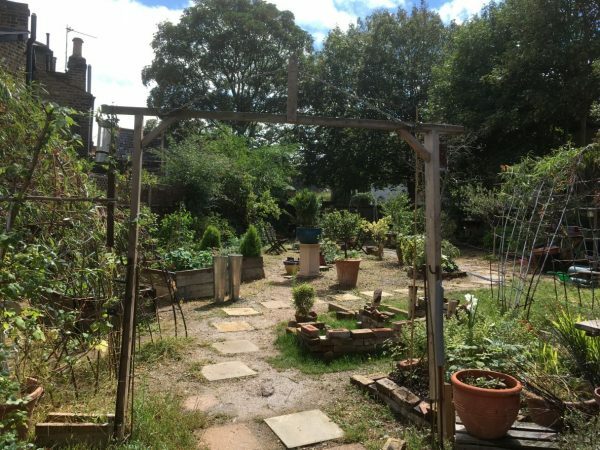 Royal Hill Community Garden in Greenwich has been created entirely out of donations and by volunteers from the local community. It is a welcoming space for all and has a positive impact not only on the people who use it, but also on wildlife. Batboxes give a home to protected species, while the flowers attract bees and bumblebees. It is a quiet haven for people to enjoy their lunch, grow their own flowers and fruit or meet other locals for a chat. 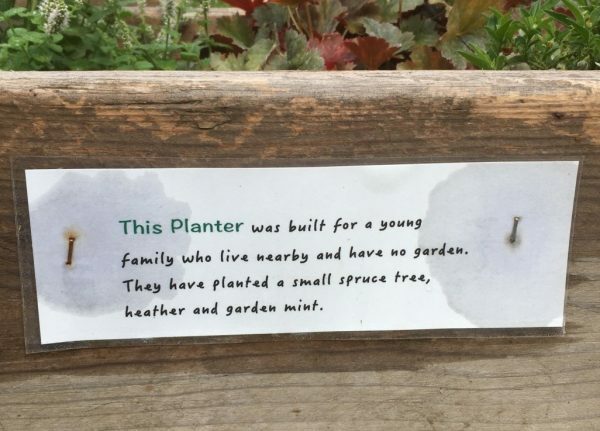 Locals can grow their own plants in the garden for free if they have no garden of their own. Royal Hill Garden is a quiet, relaxing place. Since there is no organised group and nobody particularly in charge of the garden, it could be difficult for them to do large tasks involving the whole plot of land with only small groups coming in at any time. This is why GoodGym was so helpful to them. 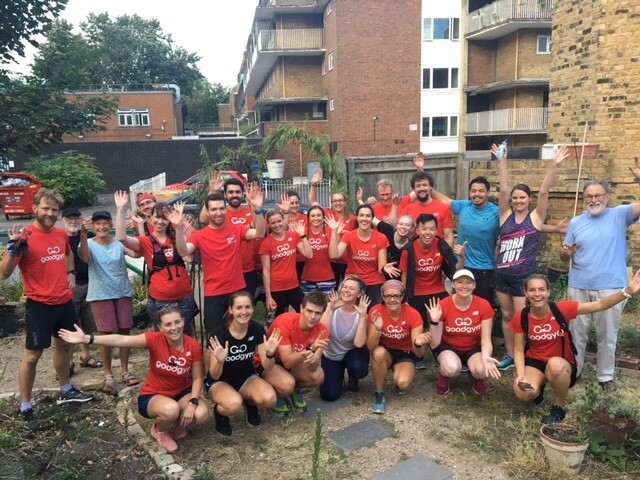 GoodGym organise regular group runs lead by trainers, which stop at various places in need of some help. The good deeds help to motivate the runners to keep exercising. Running and volunteering in these groups means they develop new friendships and meet local people, engaging in the improvement of their area. An added twist is that the run and the community work together must be 90 minutes long. This means even people with limited free time can get involved. 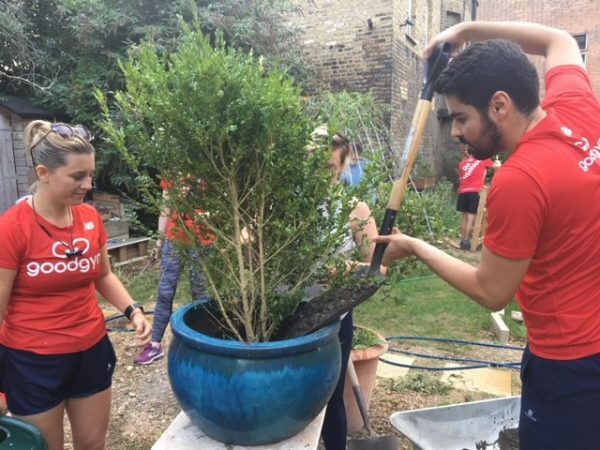 Goodgym volunteers plant bushes for the garden. GoodGym Greenwich have taken part in many other short volunteering projects and they certainly like their gardening! This summer they have also visited e.g. Christchurch Peace Garden, Westcombe Woodlands and the courtyard at St. Mark’s Church, sweeping, weeding, cutting and shovelling. 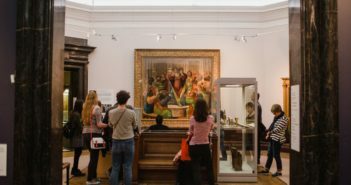 There are, however, many other groups of runners in the UK, who choose to work for schools, isolated older people, community centres and others. 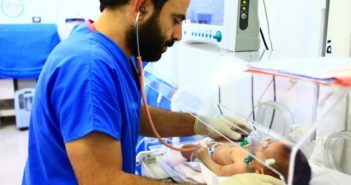 The non-profit organisation is still spreading to new locations and constantly growing in members. It is no surprise when you consider how much positivity it spreads in communities, while helping to keep them physically healthy too. This is truly a gym that is good for both body and soul.